Emma Gilmour was left distraught after a podium result slipped through her fingers at the Otago Rally over the weekend. 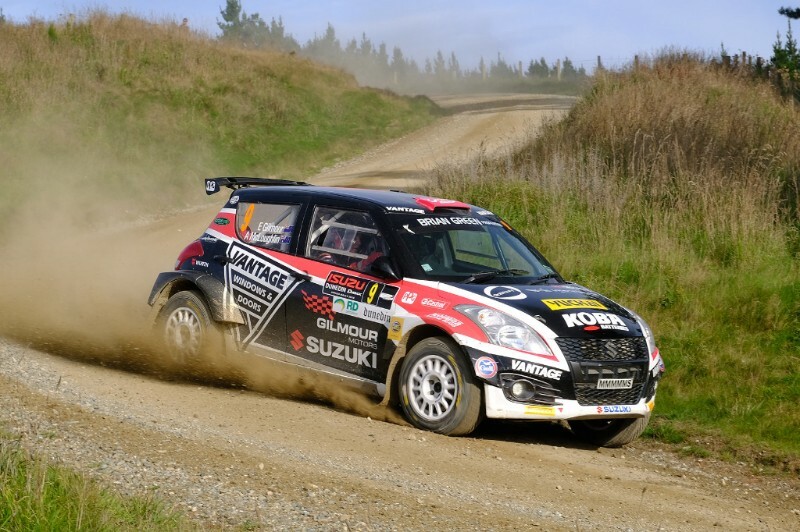 The local Dunedin driver was on track to finish third in the opening event of the Brian Green Property Group New Zealand Rally Championship only to get a puncture during the final test of the weekend and see that good result disappear. “Gutted – we had really good speed all weekend and then we got a puncture halfway through that long stage,” Gilmour said. The puncture dropped her well down the order and the good haul of points that looked hers went begging. While the end result was disappointing there is a positive spin to consider – she fought at the front end of the field and spent the majority of the rally inside the top three overall. “It is great – we know we have got the speed but it is just disappointing that we didn’t get the points,” Gilmour added. “That was the main aim for the weekend thinking of the championship – trying to bag as many points as possible so to not get that is disappointing. Gilmour struggled to fight at the front of rallies last year as she battled to get the best from her Suzuki. But a lot of hard work during 2017 and over the summer break has clearly worked with a much-improved showing over the weekend. It all bodes well for the season ahead, starting with next month’s International Rally of Whangarei. “We made a lot of gains over last season from where we started,” the one-time NZRC winner said. “We are in a good spot. We have made a lot of little gains that add up to putting us at the front of the field and battling for a good finish rather than being seventh, eighth, ninth.